Jermaine LaMont Allensworth was born on January 11th, 1972 in Anderson, Indiana. The six foot outfielder batted right handed and was a star player at Perdue University. He was Perdue's first All American in 105 years of the school's history. He was named the third best prospect in the country by Baseball America and was drafted in the first round by the Pittsburgh Pirates (34th pick overall). He hit .308 with 18 stolen bases in 21 attempts, at A ball Welland in his first season. Three years later he hit .316 in 51 games after getting promoted to AAA Calgary. He made his MLB debut that year getting called up in July. In his second career game he drove in the game winning run & three weeks later he hit a career grand slam. In 1997 he became the Pirates main centerfielder batting .255 with 3 HRs & 43 RBIs, while stealing 14 bases. The next season he hit .309 & was traded to the Kansas City Royals after 69 games. 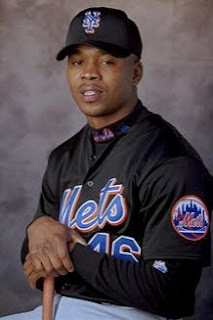 Next he was traded to the New York Mets on August 9th as part of an conditional deal. Allensworth made his Mets debut in St. Louis going 2-4 in right field in a Mets 8-3 victory over the Cardinals. In just his third Mets game he hit a HR at Arizona, the sole run of a Mets 6-1 loss. He drove in two more runs on the year, batting .204 with a pair of HRs stealing no bases. In 1999 he began the season with the club, appearing as a pinch runner on Opening Day. In May he hit HRs in back to back games at Arizona & Colorado. In the game against the Diamondbacks he had three hits & got his average up above the .200 mark. Allensworth saw all of his playing time in the outfield; 33 games posting a perfect .1000 fielding %. At the end of May he was hitting .219 with three HR two doubles & nine RBIs when he was sent down to AAA Norfolk. Later in the year he was traded to the Boston Red Sox for Jon Nunnally. He spent two more years in minor league ball before going to play in the Independant League where he played through 2008. 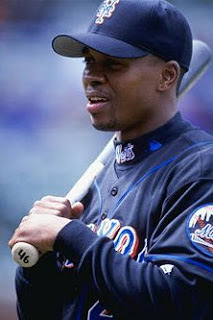 In his four year MLB career he hit .260 with 268 hits 15 HRs 42 stolen bases 49 doubles eight triples & a .339 on base %. 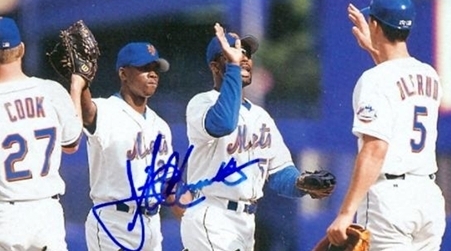 Trivia: Jermaine Allensworth was portrayed by Tracy Morgan in a 1997 episode of Saturday Night Live.